Our attorneys have won numerous defense verdicts in pest control matters, have successfully arbitrated cases in Alabama, and have successfully mediated countless others in over a dozen states. Our attorneys are familiar with the most reputable pest control experts in the country and continue to be invited by those experts to speak at their conferences on legal matters that face the pest control industry. 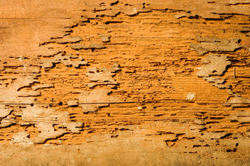 The variety of cases that our attorneys have handled in this area includes chemical exposure, toxic mold, breach of contract, property damage, negligence, misrepresentation, consumer protection act claims, wood infestation report claims, E.I.F.S., and a wide variety of termite claims.